The BCCI has announced a busy schedule for Team India Upcoming home Series 2017. New Zealand and Sri Lanka. Here is the full schedule of India’s 2017 home series. 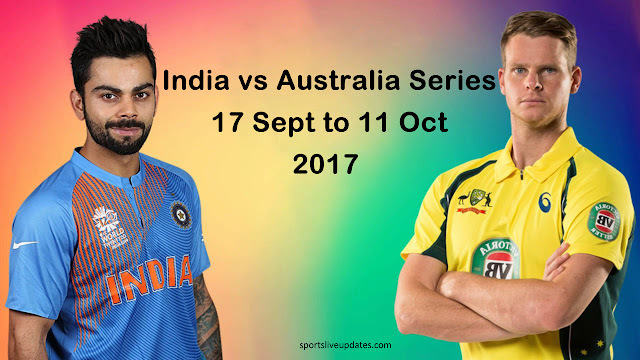 Australia will be the first visiting side in the session of 17 September to 11 October 2017. Where Australia will be face India five ODIs and three T-20 matches. 5 ODIs – Chennai, Bengaluru, Nagpur, Indore and Kolkata. Internationals matches against New Zealand will be played in 22 October to 7 November 2017.
matches and Three T-20 matches in 15 November to 24 December 2017.